The 2017 Yankees are in the midst of a red-hot pennant race. They’re battling Boston for the AL East title and a number of teams for a wild card spot. The two teams have had said some fantastic finishes, including Bucky Dent’s home run to win the 1978 AL East one-game playoff, Aaron Boone’s walk-off 2003 ALCS clincher, and 2004…let’s just not talk about that right now. Here’s a look at some of the fantastic finishes between the Yankees and Red Sox. Over the years, Major League Baseball has utilized a number of different tiebreakers to decide division winners. One of the most unusual tiebreaking methods was in play in the 2005 season. The Yankees and Red Sox entered the final weekend of the season with identical 94-66 records and they were tied for first place in the AL East. Game 161 was set for Saturday afternoon, October 1st, in Fenway Park. The Yankees sent Randy Johnson to the hill against Boston knuckleballer Tim Wakefield. The Yankees’ lineup that day showed off an unusual 1-2 punch. Derek Jeter was slotted into the leadoff spot in the order, which was not out of the norm, but Alex Rodriguez was hitting in the No. 2 hole. The combo kick-started the game with back-to-back singles that put runners on the corners. Jason Giambi‘s force out brought home Jeter with the game’s first run and Gary Sheffield followed with a two-run home for 3-0 Yankees lead. Boston wasted no time in getting right back into the game in the bottom of the 1st inning. Johnny Damon drew a leadoff walk and promptly stole second base. Three batters later, Manny Ramirez launched his 43rd home run of the season to cut the deficit to one. But, the Yankees weren’t letting up on Wakefield. Tino Martinez led off the second with a single and Bernie Williams doubled him over to third. John Flaherty and Jeter delivered consecutive sacrifice flies for a 5-2 Yankees lead. Johnson had an up and down bottom half of the inning. He struck out a pair of Red Sox after issuing a leadoff walk, but then gave up a single and another free pass to load the bases. The Big Unit worked out of the jam when Edgar Renteria went down swinging for Johnson’s third K of the inning. 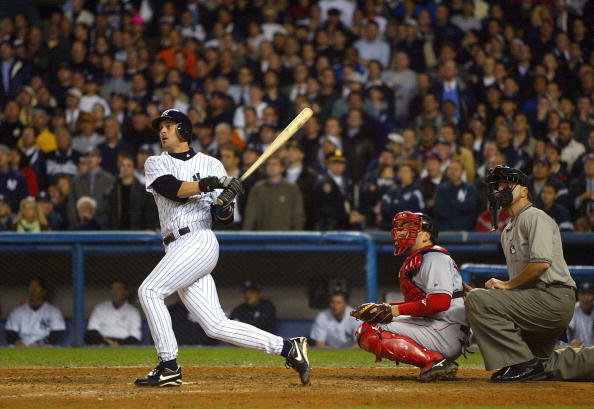 The Yankees tacked on another run in the 3rd when Hideki Matsui hit one out of the park for a 6-2 lead. 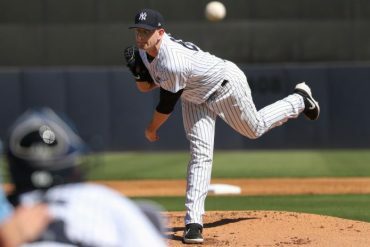 Wakefield finally retired the Yankees in order in the 4th, but A-Rod hit the Yankees’ third home run of the day in the 5th for a 7-2 advantage. Johnson settled down and retired eight straight hitters before Tony Graffanino hit a solo home run in the 7th. Manager Joe Torre allowed Johnson to face David Ortiz to start the 8th before going to Tom Gordon with a 7-3 lead. Ramirez greeted Gordon with his second home run of the day and 44th of the season, but that only offset the run the Yankees scored in the top of the 8th. 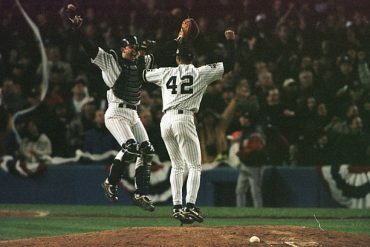 Mariano Rivera gave up a leadoff single to Jason Varitek in the 9th but retired the next three hitters to clinch the victory. Despite holding a one-game lead with one more to play, the win also gave the Yankees the AL East title. The reason was twofold: 1) The victory on Saturday clinched the season series for the Yankees, 10-8, and 2) With the Red Sox a game ahead of the Indians in the wild card race, the Red Sox would clinch a playoff spot with a win on Sunday. Therefore, there was no reason to play an additional playoff game to determine the division winner. Torre wept openly in the dugout, cherishing the accomplishment in what had been a trying year. 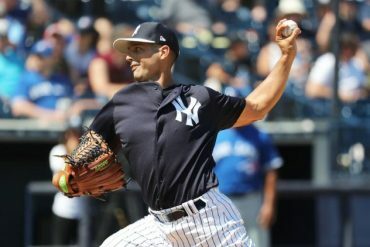 The Yankees put together a team that didn’t look so great on paper but major contributions from Martinez (in his second stint as a Yankee), pitchers Shawn Chacon and Aaron Small (with a combined 17-3 record), and rookies Chien-Ming Wang (eight wins) and Cano (.297-14-62) helped to put the Yankees over the top. The 1949 season was not a pleasant season for Yankees center fielder Joe DiMaggio. A heel injury kept him out of action until the end of June. He came back just in time for the Yankees vs. Red Sox three-game series at Fenway Park. The Yankees swept the series, winning three tight ballgames. DiMaggio smacked a two-run home run in the series opener en route to a 5-4 Yankees win. Boston built up a 7-1 lead in Game 2, but DiMaggio hit his first two home runs of the season and drove in four runs. The second blast snapped a 7-7 tie in the 8th inning. DiMaggio’s three-run home run in the series finale propelled the Bombers to a 6-3 win. For the three games, the Yankee Clipper hit three home runs and drove in nine runs. The Yankees led the American League by five and one-half games ahead of the Philly A’s, while Boston dropped eight games out of first. The Red Sox, however, went on a tear and led New York by one game with two games remaining in the season. 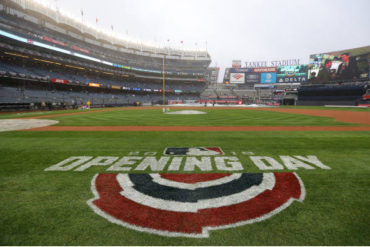 The schedule makers seemed prescient when the two teams met for a two-game series at Yankee Stadium to finish the regular season. A week earlier, the Red Sox had swept a three-game series in Boston, but this time it was the Yankees’ turn. Game 154 of the season saw the Red Sox jump out to a 4-0 lead after three innings. Starter Allie Reynolds didn’t get out of the third inning, but Joe Page came in to toss 6.2 innings of scoreless baseball. Meanwhile, the Yankees’ lineup chipped away at the lead. DiMaggio doubled to start the bottom of the 5th inning and came home on Hank Bauer‘s single. Jerry Coleman‘s sacrifice fly cut the lead in half. In the 6th inning, Yogi Berra singled home a run and the Yankees tied the game on a double play. Johnny Lindell‘s solo home run in the 8th put the Yankees ahead and Page retired the Sox with ease in the 9th to put the two teams into a first place tie. Everything would come down to the season finale. On Sunday, October 2nd, the same day Dent hit his famous home run 28 years later, Boston’s Ellis Kinder and the Yankees’ Vic Raschi hooked up in a pitcher’s duel. The Yankees took an early 1-0 lead, and it stayed that way until the 8th inning when Tommy Henrich hit a solo home run off of Boston reliever Mel Parnell. Later in the inning, Coleman delivered a two-run double off Tex Hughson to increase the lead to 4-0. The Yankees would need the insurance. Bobby Doerr tripled in two runs to halve the lead in the 9th and Billy Goodman‘s two-out RBI single made it a one-run game. But, Raschi finished what he started; he retired Birdie Tebbets on a foul pop-up to win the AL Pennant. The Yankees would go on to win the first of five straight World Series titles. 1961: Holy Cow…He Did It! The 1961 Yankees were a juggernaut – a power-laden roster that featured five batters with 20+ home runs. They set a then-Major League record with 240 home runs. Center fielder Mickey Mantle hit 54 home runs, and that was only the second highest total on the team. The leader, of course, was Roger Maris who, along with Mantle, chased the ghost of Babe Ruth all season long. “The Bambino” had hit a Major League-record 60 home runs in 1927 as part of the “Murderer’s Row” lineup. Maris didn’t hit his first home run in 1961 until April 26 and it was his only home run of the month. Midway through May, he was sitting on three home runs until he went deep in four straight games (May 17 – May 21). He ended the month with four home runs in as many games, which gave him 12 for the year. It was still too early to even think about Ruth’s magical mark. Maris then homered in consecutive games from June 2 – June 4, giving him seven home runs in an eight-game span. When he went deep on June 14, it gave him 21 home runs in his last 47 games. A few days later, Maris added five more HR in six games. Despite no home runs in the final seven games of June, Maris entered July with 27 dingers for the year. Mantle was nipping at his heels with 25 home runs. The talk of breaking Ruth’s record was on. Maris started July off with some fireworks of his own, smacking five home runs in five games. Mantle hit three during the same stretch. In a July 25 doubleheader with the White Sox, Maris hit two home runs in each game, to reach the 40-home run plateau. He accomplished the feat in a mere 96 games. A day later, Mantle hit his 39th HR of the season. When Maris homered in seven straight games (eight total home runs) from August 11 – August 16, it looked as though breaking Ruth’s record was a real possibility. Maris, a right fielder like Ruth, need 13 home runs to set a new mark and he had 43 games left to do it. During the streak, he also passed Mantle, who had hit his 45th home run on August 13, the same day that Maris hit his 44th. On August 26, the Kansas City A’s Jerry Walker surrendered Maris’ 51st home run of the year. Maris had 10 home runs to go with 23 games left on the schedule. Would Maris be able to break the record and could he withstand the incredible weight that was on his shoulders and was causing his hair to fall out? 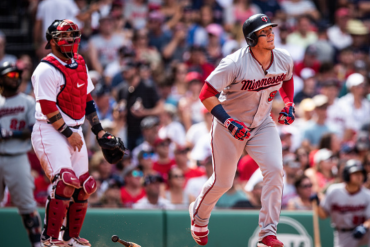 When Maris went seven straight games without a home run, the pressure was amped up even more. Finally, games #151 and #152 produced his 57th and 58th home runs. 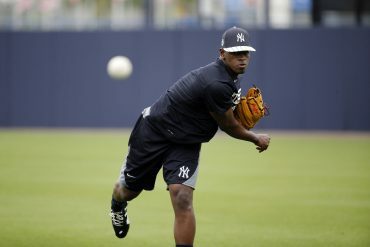 The Yankees began a four-game series in Baltimore, the site of Ruth’s early years. Maris toyed with the idea of sitting out a game but was talked out of it. The series included the 154th game of the season… Maris still sat on 58 home runs, meaning there would be no record without notation. He did hit his 59th home run on the 20th, leaving him with a half-dozen games remaining to break the record. The Orioles came to New York for a makeup game on the 26th in New York. In the 3rd inning, Maris tied the record when he hit his 60th home run of the year off of Jack Fisher. Three games remained against the Red Sox at Yankee Stadium (there were actually 163 games played due to a tied game that had occurred back in April). Maris went 1-5 with three walks in the first two games, setting up an all-or-nothing scenario on the regular season’s final day. The Sox sent Tracy Stallard to the mound against the Yankees’ Bill Stafford. Maris hit a long out to left field in his first at-bat of the game. Stallard quickly fell behind in the count when Maris came up again in the 4th inning. Maris put solid bat to ball on Stallard’s 2-0 delivery and drilled it into the right field seats. Maris had done it. Home run #61 toppled the record held by the greatest slugger of all time. Things had come full circle. Ruth had originally been a Red Sox before he achieved his greatest years in baseball as a member of the Yankees. And now, it was a Red Sox pitcher that gave up the home run that broke Ruth’s record… by another Yankee. The Yankees and Red Sox don’t play each other again in the regular season this year… unless a tie calls for a one-game playoff. Just a couple of weeks more and we’ll find out.